Electronic language is to be found in our daily lives in the new forms – rapid and incorporal – in which we communicate and propagate content. The creation and appreciation of art have also adapted to the new language, embracing the understanding that the aesthetic experience can happen outside a physical exhibition space. It is in this context that FILE International Electronic Language Festival is embarking on a new proposal. 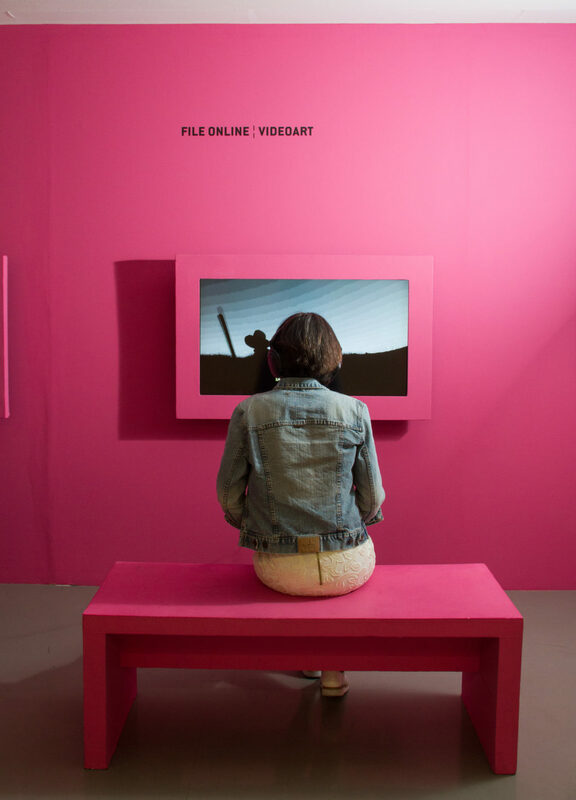 FileOnline includes works that have the potential to be experienced in both the physical and virtual spaces. By including visual, sound and networked works, FILEOnline is addressed to the restless; those who remain connected with each other even when physically distant, those who seek out an aesthetic experience in the streets, in their homes, or through the screens of their cell phones. If the body is the message, that message can be propagated beyond the physical space, because we also form part of an immaterial body, a body formed of creatures whose being is in cyberspace, inhabiting multiple places simultaneously.